PHB Ethical Beauty is a pioneering British family business with a revolutionary range of award winning ethical beauty products. We're home to the world's largest range of Natural, Vegan, Cruelty Free & Alcohol Free (Halal Certified) beauty products. Our skin, hair & body care products are handmade in the UK and we DO NOT test on animals. We are also palm oil free! 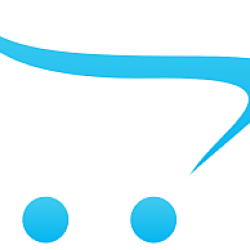 Our range includes Skin, Hair & Body care, Organic & Mineral Cosmetics and Male Grooming Products. Our products are so pure they make great Natural Remedies for Sensitive Skin and conditions such as Eczema, Psoriasis & Acne! PHB Ethical Beauty is the creation of 3 caring and passionate entrepreneurs who believe the cosmetics industry needs BIG CHANGE and that 100% Plant Powered & Compassionate beauty products will improve your skin, your health and your well-being. We have set ourselves a mission - to provide you with the purest AND most effective beauty products you can find. These have to be 100% naturally derived and ethical. This means NO animal derived ingredients, toxic synthetic chemicals, harsh alcohols or GMO's. We're Super Conscious about where our ingredients come from. We always use ethically sourced ingredients, for example we guarantee the Minerals in our cosmetics are sourced without the use of child labour. And we always ensure our ingredients are sustainably sourced and organic where possible. As brand creators we want our products & our business to inspire every person who uses PHB, and we want to show you that Plant Powered Beauty is the way forward! We also intend to use PHB as a platform to raise awareness about ethical issues that arise in the cosmetics industry such as the relentless use of animal derived ingredients, animal cruelty, plastic micro-beads and the destructive use of Palm Oil. Since our launch in 2012 we've gone from strength to strength! It seems people just can't get enough of our cutting-edge ethical beauty products, which are sold in over 40 countries worldwide and through exclusive PHB Franchise stores opened in Europe and Asia. We know that we're lucky, so we want to share our success. We believe the best businesses should always serve the communal good. That's why we are excited to donate 20% of net profits to charity to help improve the lives of people and animals in the UK and around the world. We have also launched our own charity The OneLove Foundation, which you can find out more about by clicking here. Our journey started in 2010 when 20-year-old Rose Brown and partner John Tierney (22) opened a cosmetics store in Birmingham, UK selling beauty products with John's mum Sally. Importing products from around the world and running the store, they quickly came to learn that many beauty products are made using cheap, toxic and animal derived ingredients. They awoke to some of the madness in the beauty industry - high end lipsticks made from pig fat and crushed insects, sensitive skin products made using Petrochemicals and baby care products with carcinogens. So they searched for alternatives, fuelled by their customers demands for increasingly purer beauty products. They researched and tested countless brands but struggled to find one that encompassed all they wanted to offer. That's when they decided to 'be the change they wanted to see' and create their own product range. PHB Ethical Beauty was launched in the Summer of 2012 after 2 years of research, testing and perfecting our product formulas. The first PHB Franchise store launched just 9 months later. Since then our family business has grown to include our Moms, Dads, Aunties, Brothers & Sisters and close family friends! We have also been able to find & connect with like-minded people who believe in PHB's values and who help us run our manufacturing facilities, stores and warehouse! What does PHB stand for? Our manufacturing unit is situated in the South of England and is family owned and operated. This is where we produce all PHB Skin, Body & Hair care products. We also produce ranges for exclusive spas, salons and skin care clinics, all made to our strict ethical standards. All our products are blended, filled and labelled by hand. We think that it's better to have people rather than machines doing these jobs because they can give extra loving care and greater attention to detail ensuring you get the highest quality products. Many companies use machinery to keep costs low but we believe in people over profit! 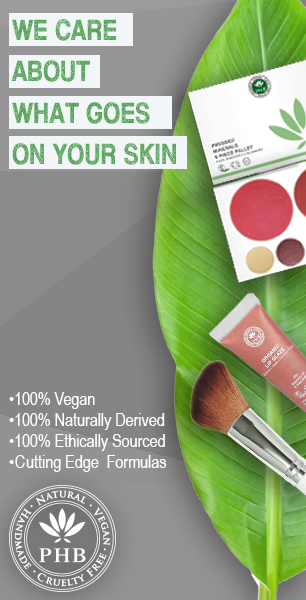 Our new cosmetics range is manufactured at our sister facility in Canada, where we have a team of experts in formulating and manufacturing 100% natural vegan cosmetics. Both of our facilities are audited and certified to the highest international standards and independently inspected by the various certification bodies we work with, including The Vegan Society, Cruelty Free International, PETA and UHA. At PHB we believe that the earth provides us with everything you need to have healthy, happy skin. Mother nature has a remedy for all your skins needs and there is no need to use animal ingredients or harmful synthetic chemicals. We feel it's our responsibility to have a positive impact on the planet, to care for our environment and for the welfare of animals. This is why our entire range is certified Vegan & Cruelty Free. We also use eco-friendly packaging that comes from post consumer recycled sources. Much of our packaging is 100% recyclable, including our Aluminium lids, PET Bottles and Glass Jars. Please recycle or reuse your empty PHB packaging and do your bit to help the planet! “It really boils down to this: that all life is interrelated. We are all caught in an inescapable network of mutuality, tied into a single garment of destiny. Whatever affects one directly, affects all indirectly. We are made to live together because of the interrelated structure of reality. Did you ever stop to think that you can’t leave for your job in the morning without being dependent on most of the world? You get up in the morning and go to the bathroom and reach over for the sponge, and that’s handed to you by a Pacific islander. You reach for a bar of soap, and that’s given to you at the hands of a Frenchman. And then you go into the kitchen to drink your coffee for the morning, and that’s poured into your cup by a South American. And maybe you want tea: that’s poured into your cup by a Chinese. Or maybe you’re desirous of having cocoa for breakfast, and that’s poured into your cup by a West African. And then you reach over for your toast, and that’s given to you at the hands of an English-speaking farmer, not to mention the baker. And before you finish eating breakfast in the morning, you’ve depended on more than half the world. This is the way our universe is structured, this is its interrelated quality. We aren’t going to have peace on Earth until we recognize this basic fact of the interrelated structure of all reality. "A family business... 20% of profit goes to charity"